We are specialists in the development, design & renovation of properties in Surrey and surrounding areas. 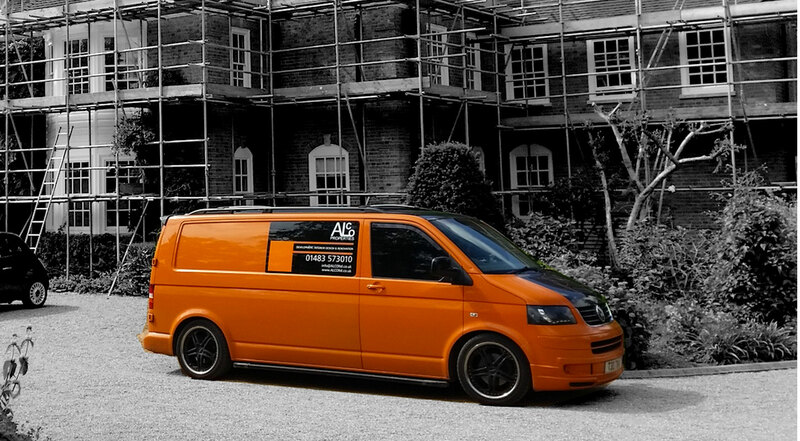 ALCO Properties are a friendly and reliable development, interior design and renovation contractors operating in Surrey and surrounding areas. We offer fully project managed services, design and build solutions and refurbishment contracting. Whether your property is residential, commercial, educational or industrial we can work to your specification to offer a quality service and end product to suit your requirements and budget. Craftsmen accredited techniques and procedures along side the latest tools and equipment promote efficiency and cost effectiveness enabling us to deliver a supreme quality finish. For a rapid response and fast quotation call us on 01483 573010, email us at info@alcoltd.co.uk or fill out the contact form. We are well suited to act as either principal, main or sub contractors on your project and can undertake everything from one off construction contracting to long term maintenance packages. 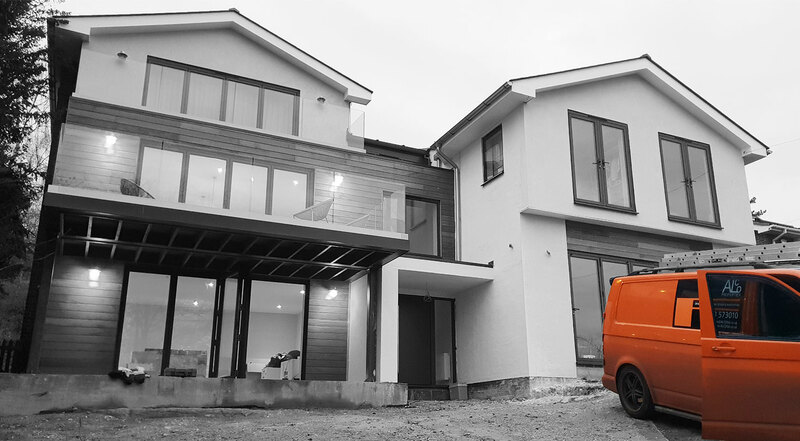 Whether it is a new build, extension, internal modification or conversion; we are able to work to any schedule of works. We can provide professional surveys, drawings & plans to suit your requirements. We work closely alongside some of the country’s top interior designers and provide complete decorating services from design to complete customer satisfaction. We undertake building renovation projects within a commercial, educational or residential environment from school, office and shop refurbishment to domestic modifications. We carry out a complete range of decorating, building and repair work, together with extensive renovations, environmental upgrades and maintenance contracting. A well-designed & constructed garden can give a whole new dimension to your property. We understand design and strive to transform a clients concept or idea into a reality. Fully tailored project management services offered. Whether your project is still an idea or your are ready to appoint a main contractor ALCO can help every step of the way. We hold a wealth of experience in contract management, our contribution alongside experience to help undertake and assist with all aspects of your construction project. We have vast experience of school refurbishment contracting, Working to tight timescales, budgets and achieving the highest of quality ensure ALCO are highly suited to undertake your educational building renovation project. If you are thinking of a loft conversion in your house, see what ALCO can do for you. Our attic conversions that we have carried out are second to none. If your office is in need of refurbishment, look no further than ALCO Properties. Call us for our office fit out services in Surrey and Hampshire. If you are looking for period property services, ALCO Properties carry out a range of services. As period property contractors, we retain the culture of your home. Automate your home and control everything from the lighting to the heating at the touch of a button. Our automatic home systems give you complete control. ALCO, under the guidance and leadership of Tom Allen, did a superb job in the renovation of my son and daughter’s house in Guildford. Everything was completed on time, to the required standard and within budget. Tom’s project management skills are excellent and he has a fine team of tradesmen supporting him. We were consulted at all stages of the project on progress and there were no surprises. A great team performance and I would highly recommend ALCO to anyone about to undertake a building project, large or small. Tom (ALCO) provided many detailed quotes (and showed a lot of patience as the project changed as it went along) and delivered a good service and finish – particularly pleasing as most of the work was done without me being around. Any issues we did have were remedied quickly and Tom showed commitment to providing customer satisfaction. ALCO have now done a few jobs for us ranging in size and price. Each time we find then to be reasonably priced, good communicators and a good standard of finish. Have recommended to a number of people who have all been positive. ALCO Properties. Copyright . All Rights Reserved.